One should make cheese on a foggy Monday, absolutely! This is a great attitude–in theory. We had just fought a battle with a noxious respiratory virus, you see–and we’d come out the winners in the fight. The entire family (except for Amalia, and we are still puzzled by this) was felled by it and we endured a couple of weeks of sore throats, coughing, malaise, headaches, monstrous fatigue, and mucous. Lots and lots of mucous. And then–the weekend struck. We are putting on this musical melodrama, you know, and the to-do list was–and is–a mile long. Two miles long. Overwhelmingly long! After discussing what the most important tasks to start on were (note I didn’t say to finish), Bryan took off one way (to buy lumber and other supplies at the hardware store) and I took off the other way (to inventory our paint supply and then to go to Wal-Mart to buy the paint we still need, and other supplies). Every time I have a punishing to-do list and I’m feeling overwhelmed and underappreciated, I seem to end up (as if by magic!) at my favorite thrift store, the Etcetera store in Seward, Nebraska. I love this place. It is the best thrift store in the world. I’d say it’s better than getting a massage or a pedicure for pure escapism and refreshment of the spirit. The store is staffed by sweet Mennonite ladies who will exclaim over your purchases (“Oh my, I love that little blue baby sweater, I admired it when it came in!”) and tell you that you don’t look old enough to be a grandma (the sweetest thing in the world to hear) when you tell them that you’re buying the aforementioned sweater for your darling granddaughter. I think I have probably intentionally told them more than once that the item I’m buying is for my darling granddaughter, just because their reaction is so reliable and so sweet. Plus, they absolutely never tire of looking at the pictures of your preternaturally-lovely granddaughter that you just happen to have in your purse. This store is clean and bright and well-organized and just packed full of treasures, and the inventory changes very quickly. I hadn’t been to Etcetera for a couple of weeks, which is a long time for me. Everything I saw was new and fascinating and desirable. But I didn’t linger. I quickly settled on just a few treasures: two new sweaters that I already count among my favorites ($1.00 and $2.00, and the second one was an Eddie Bauer) and a new pizza stone ($2.00) and a Graham Oakley book, Church Mice at Bay, for 35c. Mr. Oakley is one of my favorite children’s picture book authors, and the books are highly collectible. The illustrations and the stories make little Mack and me laugh out loud, and that is worth a lot! So as I was revelling in my purchases, a dark cloud appeared above my head: here I was, having fun in my favorite store, and the items of my to-do list weren’t doing themselves. My spirit did a nosedive. I was a petulant child, and one thought occurred to me: I really just wanted to make cheese today. It wasn’t my fault that my tyrannical to-do list had forced me to drive to Seward, after all. I had just taken a quick detour, who could blame me? If I had just made my cheese, like I’d wanted to, I wouldn’t be wasting time in my favorite store. The entire weekend was thus. I spun my wheels on Saturday, mostly. I did a few productive tasks, ignoring the ever-present and illogical desire to make cheese. On Sunday, after church and little Mack’s Tae kwon do class, I went home to The List. But I ignored it outright this time, and read the Sunday paper defiantly and even dared take a nap. I needed rest and restoration time. It was Sunday, after all. I felt a little miserable about it, though. I really just wanted to make cheese. Monday morning dawned cold and grey and foggy, and I still felt down, now not only feeling that I had accomplished nothing over the weekend, but not especially full of ambitions for Monday, either. The to-do list continued to mock me. 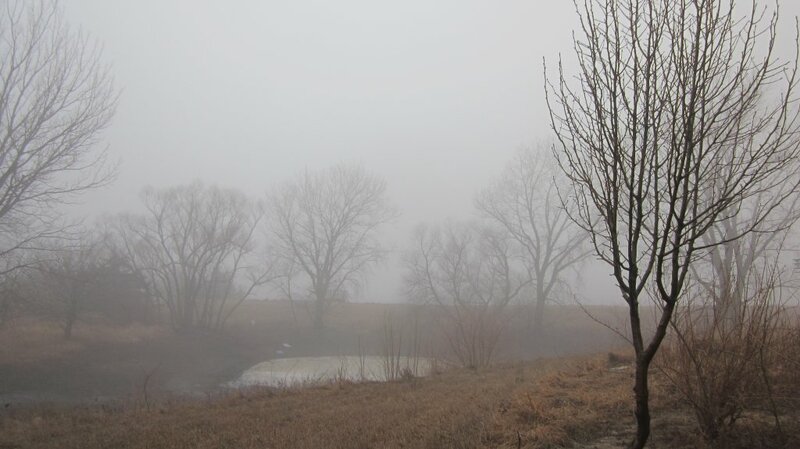 The dense fog that surrounded our place seemed to add to my dour mood. I had some worries that I was nurturing about a family member with a thorny problem, and another loved one with a health problem. I went out and trudged around doing my morning chores, feeding the chickens, the dogs and cats, hauling some grain, slog, slog, slog, and I decided that I wasn’t going to do one more thing until I made that cheese that I had been wanting to make. It didn’t make sense. It wasn’t on my to-do list (and if it was, I’d probably ignore it) but the recipe promised that it would only take 30 minutes. For Pete’s sake, Amy, I thought, as I hauled buckets of water to the chickens, is your life so tightly-wound that you can’t indulge in a 30-minute project for no other reason except that you just want to do it? My mood changed, and I hurried back into the house. I was going to make cheese! I am enjoying this book! That’s what they would say. Little Mack mugs with the cheese-making ingredients. 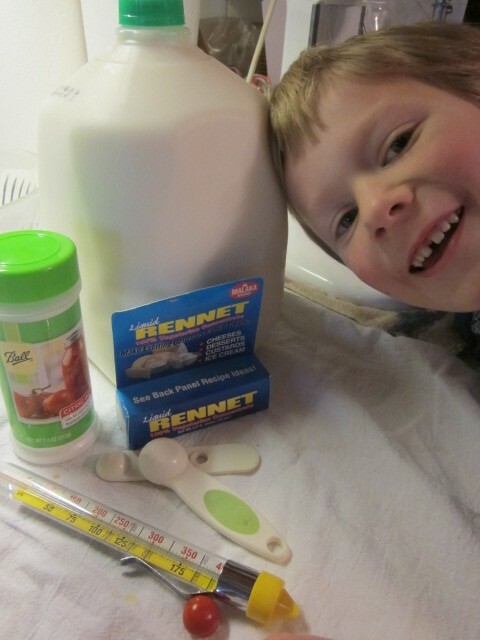 This is all you need to make mozzarella cheese: Pasteurized milk, rennet, citric acid. Oh, and salt. That’s all! So at long last, I made cheese. The recipe from the book sounded so simple and so fast. I had little Mack to help me (he’s great at stirring) so I busied myself on other tasks in the kitchen while he stirred and watched the temperature on the thermometer rise. Here my little boy stirs the milk, which gets hotter and hotter . . . 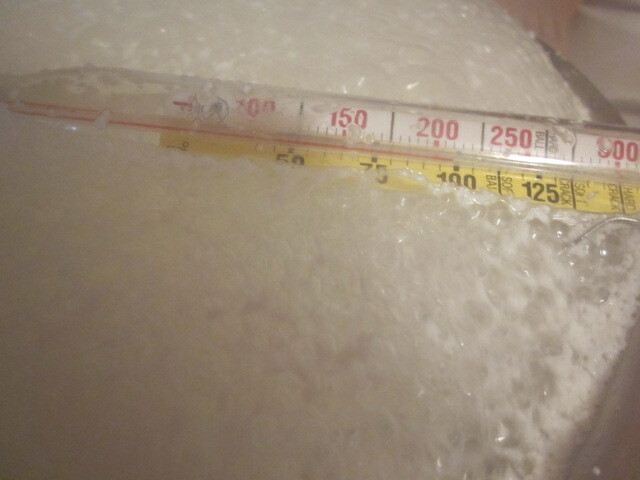 Here the milk mixture reached the magical temperature: 100 degrees: at which it was supposed to curdle like mad. At this point, I realized that we had taken much, much longer than the promised 30 minutes to make these cheese curds, although, to be fair, at least I could say that little Mack had done his science for the day. And I did. Homeschooling mums don’t give themselves enough credit where science class is concerned: so much of our day-to-day lives is crowded with the scientific process: hypothesis–check! experiment–check! formulate theory–check! Here are the curds that we ended up with. 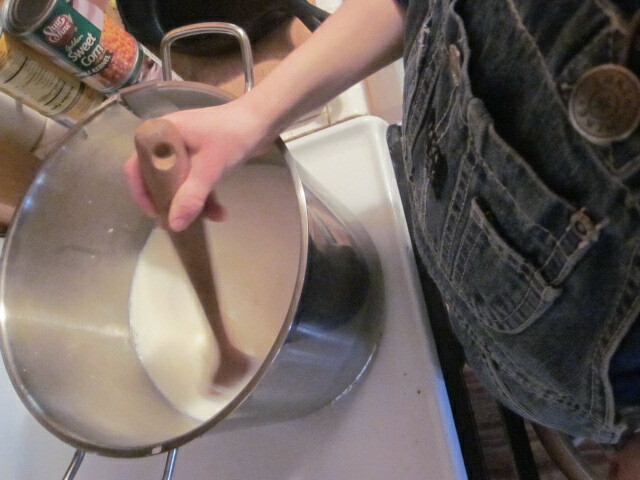 Now, according to the recipe, it was a simple matter of “kneading, and pushing and pulling” and the curds would magically transform into taffy-like ropes of mozzarella cheese. Well, I kneaded. I pushed. I pulled. Little Mack lost interest and ran off to play. Globs of curds plopped on the floor by my feet. No taffy-like ropes appeared. I didn’t care. 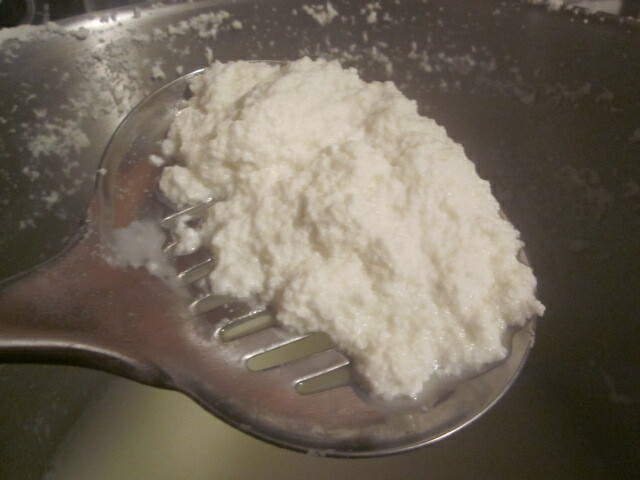 I had made my cheese, though I actually ended up with some lovely ricotta (apparently) instead of mozzarella. I got that out of my system, as my dad might say. Some days you’re on top of your game and you will eat problems for breakfast. You’ll be tough, and smart, and cunning, and wise. But then some days it won’t be so easy, when the problems appear at the breakfast table. You’ll be distracted by other, more important matters. Perhaps your heart will be bruised from something that happened or is happening to somebody else. You won’t want to eat the problems of the day. You’ll want to turn the other way and make some cheese. And my encouragement to you is, if you need to put your feet up and relax for a bit, or curl up for an afternoon and read a good book, or sit down and just play with the Legos with your little boy without a glance at the clock, just give yourself the permission to do so! And if you really, really want to make cheese–for Pete’s sake–make cheese! Even if all you get out of the experience is some lovely ricotta, you’ll be refreshed and more able to attack the list again when you’re done. And that’s a good thing. Oh I love this blog, you still have the most brilliant title of a blog ever and I can’t wait to continue reading about life in Nebraska and making cheese and of course little Mack! I appreciate your comment! I plan to keep blogging about all my adventures, so I hope you’ll continue to check in. Blessings! Thanks so much, Mr. Pringle, for your comments! Oh, you’ve done it again, Amy. A great post to get me smiling (and laughing) all at the same time! You can tell Mack that the reason women have hair on their chins is it comes with age and wisdom. I have all three! My kids laugh at me every time I pull out the tweezers to pluck those darn hairs! What’s really cool about it now is the hairs are coming in white and I can sometimes go a few days without having to yank them out. Sometimes, I get in a rut and forget that there are things I can do that are absolutely not on my to-do list. It’s okay. That pile of biz work and housework can wait. I’m getting a little better at it, but I’ve got a long way to go. Well, Aletha–you know why he asked me that question–he was looking up at MY chin!! 😉 Thanks so much for your comment. Best wishes! Great message and made me laugh too! I love little Mack’s constant questions (just off to check my chin… :-\ ). You are such a writing natural – don’t know how you come up with such full posts every day! Thanks so much for the encouraging words. I enjoy your blog fully, too! Marvell]ous bog! 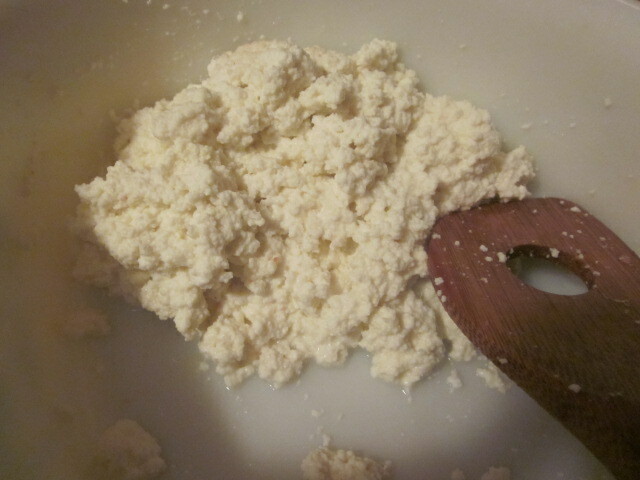 Now I know how to cure a lurgy and make mozzarella-ricotta! Yes, Caro! Thanks for your comment and let me know if you ever brave the cheese project! The cheese-making bit was my favorite part! It got me all riled up to go, but alas, I haven’t done it yet. Good for you! It’s good to know that it is actually attainable! 2013 may be the year of home-made cheese! Will you try some other flavors? 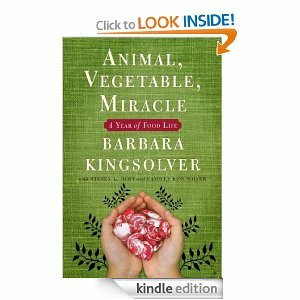 I was trying to remember who is was (in the early days of the UBC) who encouraged me to read that book! Thanks so much for the plug. I just an enjoying it like crazy. I’m not sure if I’ll try other flavors–cheddar flavored ricotta, anybody? Wow. So you really make cheese? You are my hero. I’m going to try again and hope for something besides ricotta. Any secrets you want to share with me? I love the idea of you deciding it was ok to do something just because you wanted to – good for you. The cheese looks, er, home made? Which is a good thing. I wonder if I could do the same with making chocolate, which hopefully involves nothing more than melting shop bought chocolate!